This is my first DNA 75C Theme. I tried to keep it clean, modified a few things. 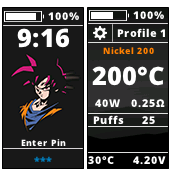 Depending on your battery status, Goku (God mode) will turn into Black Goku (Zamasu). Added Punch/Preheat Settings on the Atomizer Settings Screen. Please apply SP7 on your DNA 75C Device to take advantage of it. I had to squeeze the clock on the lock screen. If you apply US clock format, you need to adjust the font size of your lock screen. 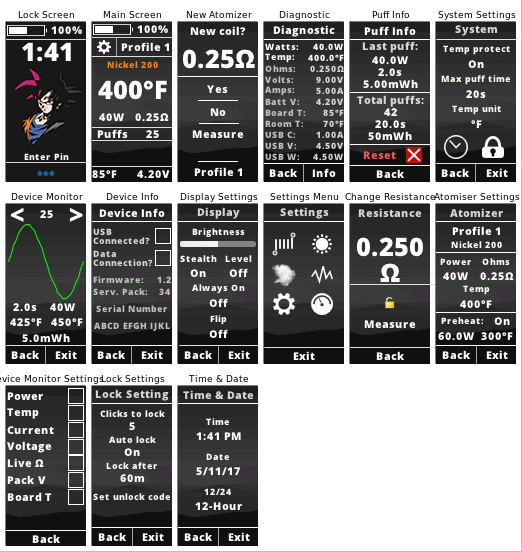 Pretty cool theme but you spelled atomizer wrong in the settings. you spelled it "atomiser". Awesome theme. does this work on the DNA 250c? Yes it will work with DNA 250C but there is no Replay option. 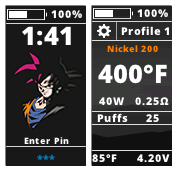 Haven't updated this theme, since I don't have a DNA 250C nor DNA75C Device anymore.